The Ahool (or The Athol) is a cryptid giant bat. The Island of Java, formed mostly as the result of volcanic activity, is the worlds 13th largest island, and the 5th largest island of Indonesia. Java is one of the most densely populated regions on earth and with a population of roughly 124 million is also the most populated island in the world. It is because of this overpopulation that the rainforests of Java have all but disappeared in recent times, the Gunung Halimun National Park is one of the last remaining stretches of lowland forest on the island. What remains Java’s once great rain forests supports a wide array of wildlife including over 23 mammal species, over 200 bird species, over 500 forms of plant life and according to the native population of the forests is the home to a large unidentified winged creature known as the Ahool. 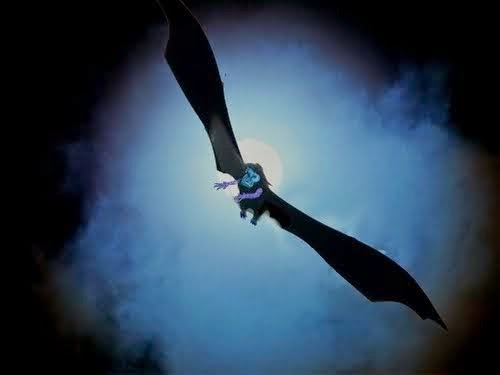 The Ahool, named after its call, a long ahOOOooool, is said to be a bat like creature, and is described as the size of a one year old child with a gigantic wing span of roughly 12 feet. It is reported to be covered in short, dark grey fur, have large, black eyes, flattened forearms supporting its leathery wings and a monkey like head, with a flattish, man like face. 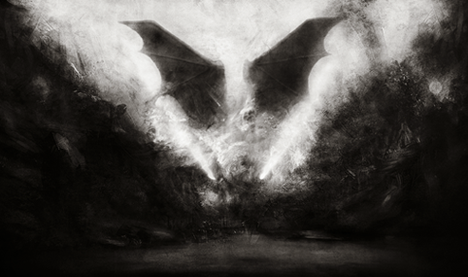 It has been seen squatting on the forest floor, at which times its wings are closed, pressed against the Ahool’s body, its feet appearing to point backwards. It is thought that the Ahool is a nocturnal creature, spending its days concealed in caves located behind or beneath waterfalls; its nights spent skimming across rivers in search of large fish upon which it feeds. 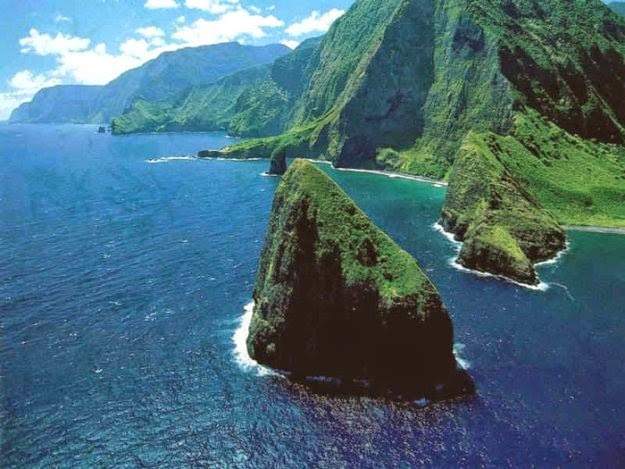 One account of the Ahool occurred in 1925 when naturalist Dr. Ernest Bartels, son of noted ornithologist M.E.G. Bartels, was exploring a waterfall on the slopes of the Salek Mountains when a giant unknown bat, the Ahool, flew directly over his head. Two years later in 1927, around 11:30 pm, Dr. Ernest Bartels encountered the Ahool again, this time he was laying in bed, inside his thatched house close to the Tjidjenkol River in western Java, listening to the sounds of the jungle when he suddenly heard a very different sound coming from almost directly over his hut, this loud and clear cry seemed to utter, A Hool! Grabbing his torch Dr. Bartels ran out of his hut in the direction the sound seemed to be heading. Less than 20 seconds later he heard it again, a final A Hool! which floated back towards him from a considerable distance downstream. As he would recall many years later, he was transfixed on the sound, not because he did not know what produced it but rather because he did, the Ahool. At one time, Bartels had suggested that perhaps the creature was not a bat, but some type of bird, possibly a very large owl, but this theory did not sit well with others and was greeted with passionate denials by his friends, who assured him in no uncertain terms that they were more than capable of distinguishing a bat from a bird. 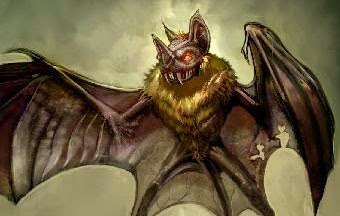 Bartels accounts of the Ahool were passed down to cryptozoologist Ivan T. Sanderson by Bernard Heuvelmans, and after much research Sanderson concluded that the Ahool is a form of unclassified bat. Sanderson took special interest in the Ahool because he too had met with such a creature, but not in Java, his encounter took place in the Assumbo Mountains of Cameroon, in western Africa. 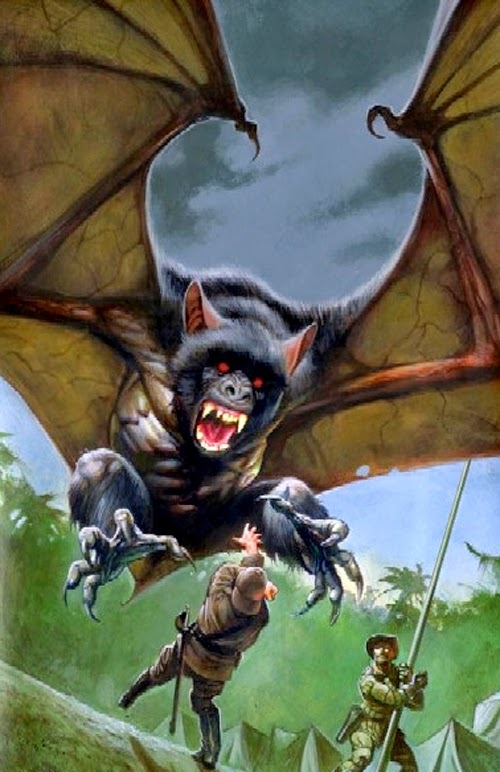 Sanderson thought that the Ahool could be an Oriental form of the giant bat like creature he witnessed in Africa; this creature was known by the African natives as the Kongamato. 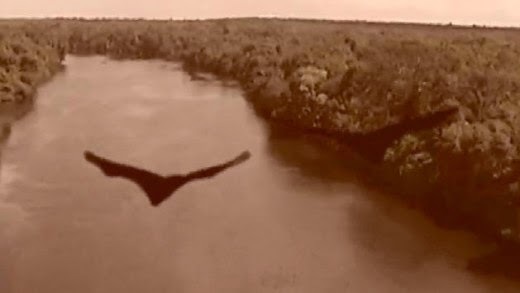 Some researchers have suggested that the Ahool may be a surviving population of pterosaur, a flying reptile thought to have gone extinct around the time of the dinosaurs, some 65 million years ago. Indeed the description of the Ahool does match what we currently know about pterosaur species, including large forearms supporting leathery wings. The majority of investigators seem to agree however that the Ahool is more than likely a form of unknown giant bat, looking to the creatures reported facial features as evidence against the flying reptile theory. A third, less popular theory, also based on the reported facial features of the Ahool is that this beast may be the worlds first reported case of a flying primate. It is thought that female Ahools are very social, while the males live on their own, living in groups the females and their young remain together until the young are fully mature and capable to breed. Ahools are omnivorous creatures, feeding on a large range of food sources, but will consume large amounts of flesh as they are very successful predators, preying on a range of large animals ranging from small cats to full grown humans. 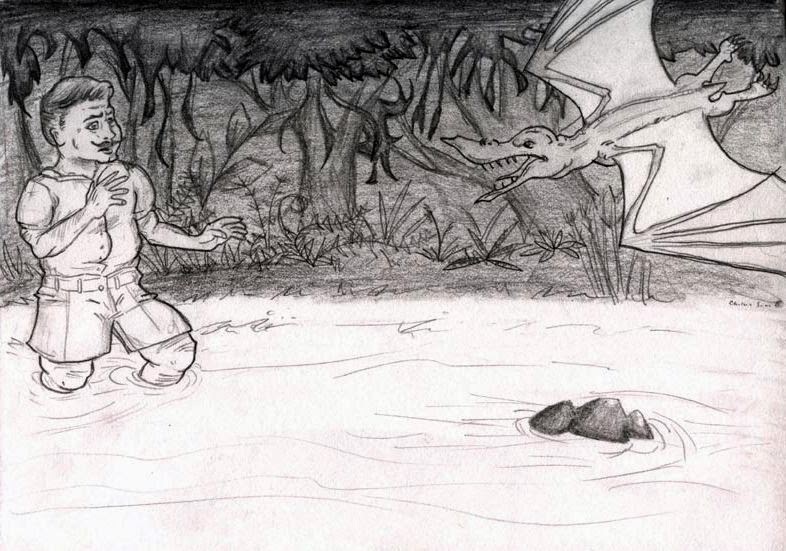 Ahools allegedly hunt their prey by upside-down stalking throughout the forest as the creature's large size proved to be easily noticeable if it were to stalk from the skies. The stalking usually lasted for about several minutes before the Ahool drops down from the treetops to its victim, jaws open wide, and "engulf" their victim with their large wings while delivering a fatal bite with their massive fangs to the victim's neck, cracking the spine and usually kills the victim instantly (Similiar to the leopard's method of killing). Regardless of which theory you may subscribe to it may only be a matter of time before we find out exactly what the Ahool is. With the continued destruction of Java’s rainforests the Ahool’s habitat continues to shrink which may lead to more encounters with the creature by modern man as we encroach further on its home. Unfortunately the destruction of the Ahool’s home may also lead to its extinction before we even get a chance to fully understand its identity. I wouldn't be in a rush to rule this one out, when it comes to nature you never know. Murderabilia - Right Or Wrong? A Look Back At "Night Trap"